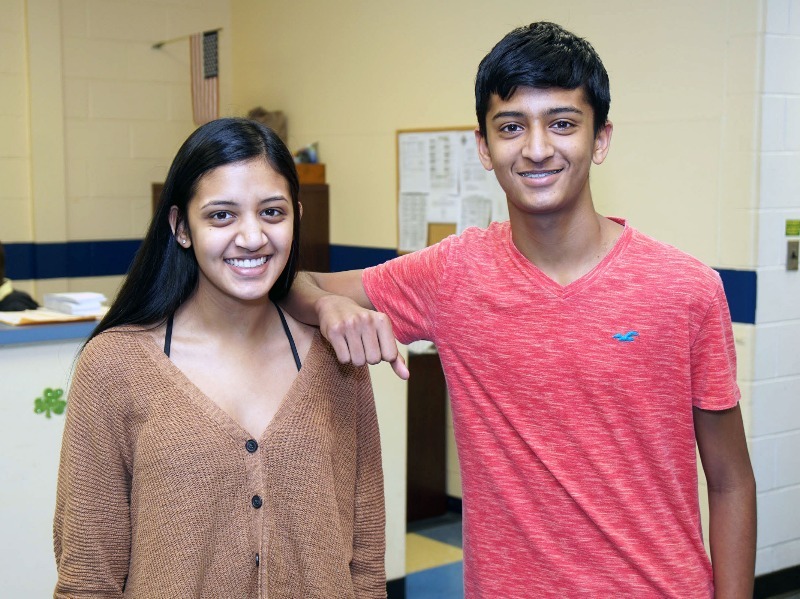 High School North students Vidhi Jain and Ved Jain, founders of Share A Smile USA, traveled to the Dominican Republic over Presidents Day weekend to volunteer their time at medical camps they helped to organize in conjunction with the Lions Club. The Jains founded Share A Smile USA about four years ago with the hopes of helping people living in impoverished areas get basic medical care, including vision care. On this trip, they were accompanied by their friend and fellow classmate Arjun Sobti. The three students helped at the medical camps by providing screenings and information on diabetes and vision care. They also distributed over 400 pairs of eyeglasses to people of all ages. The Jains look forward to planning their next medical camp and bringing more smiles to people across the world.